WASHINGTON, Mar 28 2013 (IPS) - An environment group here is warning that the U.S. Environmental Protection Agency (EPA), a key government regulator, may have been haphazardly approving thousands of pesticides for decades, some of which pose risks to both human and environmental health. Following on two years of research, the Natural Resources Defense Council (NRDC), a watchdog group, has found that as much as 65 percent of the 16,000 pesticides the EPA approved between the late 1970s and 2010 were greenlighted through a hasty and potentially incomplete process. The public is under the false impression that if a substance has been registered by the EPA, it has gone through a thorough government review. NRDC says these 11,000 substances were approved using a loophole in strict regulatory legislation known as “conditional registration”, created by the U.S. Congress to be used only in very limited circumstances. “Properly used, conditionally registering a new pesticide provides an important benefit in special situations such as allowing new pesticides on the market to address a public health emergency,” a new NRDC report, released Wednesday, states. Congress created the conditional registration option in the late 1970s, a half-decade after it passed stringent new regulatory legislation covering pesticides, in response to industry complaints that the new testing requirements were too onerous and were gumming up the development process. As such, lawmakers said they would allow the use of conditional registration if a developer claimed to have insufficient time to come up with the data required, and if the temporary granting of approval would not have an overly negative environmental impact. Both of these requirements – temporary use and follow-up data – remain central components for the use of conditional registration. And yet, according to the NRDC findings, not only has the EPA appeared to massively over-rely on this loophole, but it has also failed to adhere to these additional reporting requirements. “The EPA’s database is seriously disorganized. Once a pesticide is conditionally registered, the EPA does not have a system to track the data it had requested as a condition of the registration,” the report states. Coupled with the fact that the EPA also offers no public comment period on its decisions, alongside a broader lack of transparency, NRDC is calling the approvals process “grievously flawed” and accusing the agency of an “abdication” of its duties towards public health and the environment. “The big problem is we have to take EPA at their word, because what the public has access to doesn’t offer us some critical information,” Mae Wu, an NRDC attorney and co-author of the new report, told IPS. Those two substances are nanosilver, tiny pieces of silver used for their antibacterial properties, including in infants’ toys; and clothianidin, a potent pesticide that belongs to a family of substances linked to the current widespread die-off of global honeybee populations. To a certain extent, the EPA appears to implicitly agree with at least some of these concerns. In an internal report last year, the agency admitted to administrative mistakes regarding the use of conditional registration in around 95 percent of cases. Further, after being privately briefed on the NRDC initial findings in 2010, the agency’s use of conditional registration appears to have plummeted, to about 20 percent of pesticides approved in 2011 and 2012. “It really did seem to open their eyes to a problem they didn’t realise they had,” Wu says. EPA has stated that it would be moving up a required periodic re-appraisal of approved pesticides. But even under the new timeframe it is not expected to rule on clothianidin until 2018. Since the introduction of this substance’s broader family of pesticides (known as neonicotinoids), in the mid-2000s, mass honeybee deaths have threatened the huge food crop industry – worth some 15 billion dollars a year here in the United States alone – that depends on their pollination. The lawsuit follows an EPA decision last year to deny a petition to halt the use of clothianidin – despite the agency itself having rejected research on the substance’s safety by its producer, Bayer. “The EPA denied the suspension request by essentially concluding that there was no ‘imminent hazard’, but it didn’t review a majority of the new studies that further support the charge of imminent hazard,” Sylvia Wu, a staff attorney at the Center for Food Safety, one of the lawsuit’s plaintiffs, told IPS. 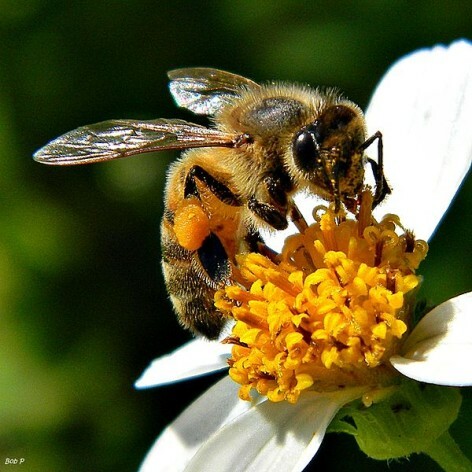 Elsewhere, while the European Union earlier this month failed to ban three neonicotinoids pesticides thought to be endangering European bees, the European Commission is reportedly continuing to pursue action on one unless a compromise with industry is reached. On Thursday, the two largest neonicotinoid producers, Bayer and Syngenta, proposed a package plan in the E.U. that would include greater monitoring of neonicotinoids, more research on bee viruses, and planting of more flowers around the edges of agricultural fields.